seriously. that shot is like a scene from a movie. you're daaaang good, KPS!! Why thank you kindly, KMC! Yep, great pic. And they work too?! Total score! 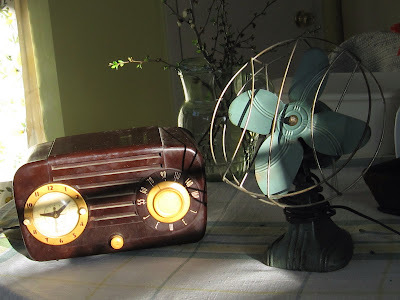 The fan works, the radio lights up but produces no sound. The guy I bought it from said it might have antenna issues. Maybe someday I'll get it fixed.